Indianapolis Metropolitan High School is a free public charter school designed for students in grades 9 - 12 who are experiencing barriers to their education, such as parenting, pregnancy, homelessness, involvement in foster care, identified as special education, previous enrollments at other schools or involvement with the criminal justice system. 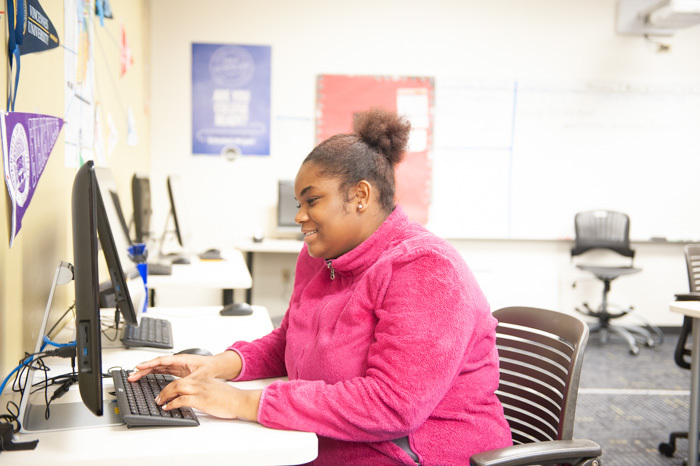 Symone Maxey, 17, enrolled in Indianapolis Met this year after realizing she needed some additional support to move forward along her educational path. 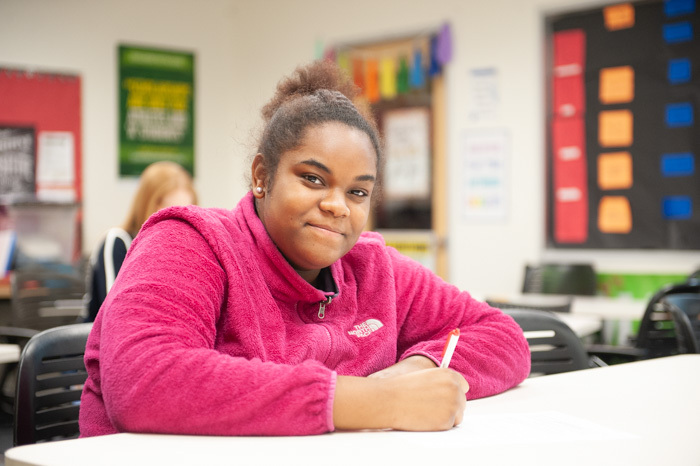 Pregnant at the age of 14, Symone struggled to balance school, child care and a social life. After Symone’s daughter, Dyanna, turned two, Symone began thinking about completing her high school education. 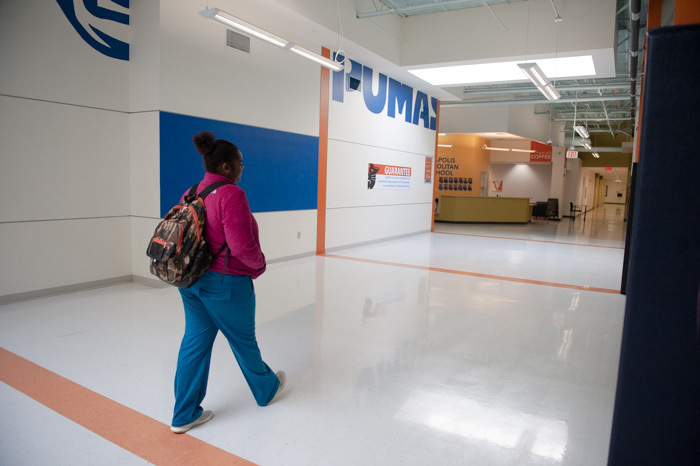 Symone learned about Indianapolis Met — and its free on-site child care — through an alumni who recently graduated and who also had a child at a young age. Symone also enjoys Indianapolis Met’s course variety. In addition to Algebra II, English, and Information Technology, she is enrolled in P.U.M.A. Queens, a class that serves “Powerful, Untouchable, Mighty and Aspiring” women who want to learn life skills to use after graduation relating to money management, family responsibilities and how to be a leader. Students in this class also listen to guest speakers discuss what it’s like to be a woman in the workplace. Now halfway through her junior year, Symone is already thinking about her next step. Indianapolis Met places an emphasis on ensuring students enroll in college or enter into a career that offers a living wage post-graduation. To learn more about Indianapolis Met, or to enroll a student, visit indianapolismet.org.